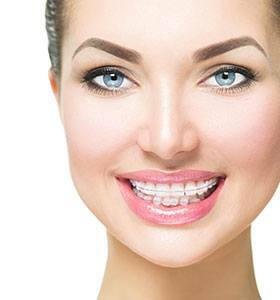 Many patients wish they had straighter teeth, but the thought of metal bracket and wire braces and years of treatment may discourage patients from seeking the care they need. For some patients, Six Month Smiles offers a quick, clear braces solution to crooked teeth. This innovative treatment method allows patients to create a beautiful smile they feel proud sharing without spending years completing orthodontic treatment. If you’re interested in Six Month Smiles or other cosmetic alternatives to traditional braces, contact the Distinguished Dental team today. We’ll schedule an orthodontic consultation in our Keller dental office to discuss your smile alignment options and help you make a personalized plan to deliver the smile you desire. >Six Month Smiles is a cosmetic orthodontic solution that uses clear and tooth colored brackets and wires to adjust the alignment of the front teeth. Sometimes referred to as the “social six,” these are the teeth most visible within your smile. By concentrating the alignment plan on just these teeth, patients are able to quickly and comfortably achieve a flawless smile they’ll be proud to share. Six Months Smiles works in much the same way as traditional braces. Clear or ceramic brackets are attached to the front surfaces of the teeth that are visible within the smile. Then, a wire runs through these brackets. We can adjust the pressure on specific teeth using the wire, and the constant pressure moves teeth into the ideal alignment over the course of several months. How long will it take after my consultation before I can begin treatment? The Six Month Smiles lab will craft your braces, and it can take anywhere from a few weeks to several months to begin treatment. 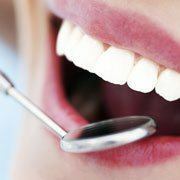 The dentist’s relationship with the lab can affect the amount of time it takes for you to begin treatment. Once I get started, how long will my treatment take? Every patient will receive a unique plan, and Six Month Smiles is not always literal. 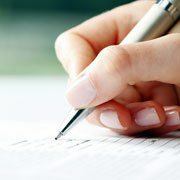 Most patients achieve their desired end results in three to eight months. Will I still need to use a retainer? You will likely need to wear a retainer. This ensures your smile will fully fuse with supportive structures, and teeth will remain in their new positions. The good news is that we may be able to use clear retainers. This means no one will ever notice your oral appliance, and you’ll keep your newly aligned smile. How much will it cost? The cost of Six Month Smiles depends in large part on your specific treatment plan. It will be much lower than traditional braces, and most providers work with you to establish a payment plan that spans your treatment time. Can I see some of your actual results? Ask your dentist to show you some of their actual Six Month Smiles patients. This is a great way to better understand the dramatic results possible with this unique orthodontic treatment.